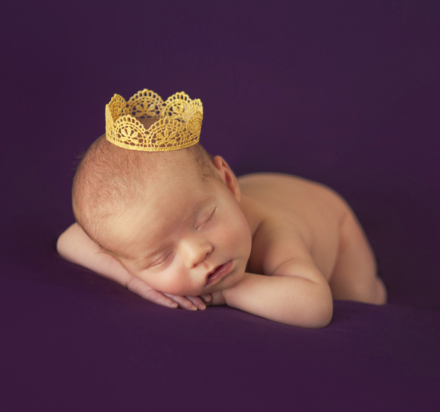 Royal Baby Princess. The early weeks after the birth - Courtesy of Little Routines. It is wonderful to share in the joy of the arrival of the new royal princess. A time for all new parents to love and cherish every moment of the wonder of their own little prince or princess. The first few weeks after the birth of your baby can be quite challenging as everyone is adjusting to having a baby in the home. A round the clock routine of feeding, winding, changing and settling. A couple of tips I have to make your life a little easier, once you have got feeding established, is to set your baby's body clock and teach your baby to self settle. Everyone needs a good nights sleep, even your baby. You may well find that your baby is wide awake and ready to party at 3 in the morning! Your baby needs you to help get the day and night time set. The way to achieve this is to wake your baby for regular, good feeds during the day and encourage some wake time. Your baby will be tired and ready to nap after about an hour and a half, in the early weeks. Swaddle your baby and use their pram for day time naps. A well fed, contented baby will sleep until the next feed. Make your baby's pram and cot a safe and comfortable environment for sleeping. A new, well fitting mattress with breathable cover. Cotton fitted sheets and cotton cellular blankets. Take your time feeding. Make sure you are comfortable and well supported. A feeding cushion may help you with the correct positioning. Baby Mattresses Online have a large range of mattresses, feeding cushions, changing mats and much more. Please contact me if you need any help, advice or support settling your baby into a routine, along with any questions or concerns you may have.